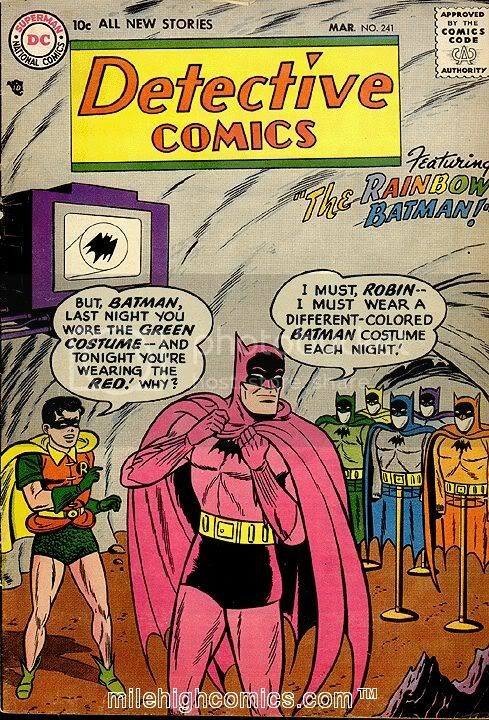 Interestingly, Batman: The Bold and the Brave did this scene almost exactly, including the pink costume and Robin calling it red. BTW when did pink become a color of the rainbow? Alright it isn't TG or AB, but it is PINK! You have an awesome find here, please keep up the good work, and as always thanks fpr sharing your work&finds. A pink Batman, he must be getting feminized by the Cat Women, bet he likes the pink tights.